At least 6 people have been killed, 2 seriously injured and thousands displaced due to floods and landslides in Indonesia‘s West Sumatra province. According to the country’s disaster agency, four of the victims died in landslides and two as a result of flooding. Heavy downpours from 03 March 2017 affected areas of Limapuluh Koto Regency, resulting in several rivers overflowing and as many as 13 landslides. 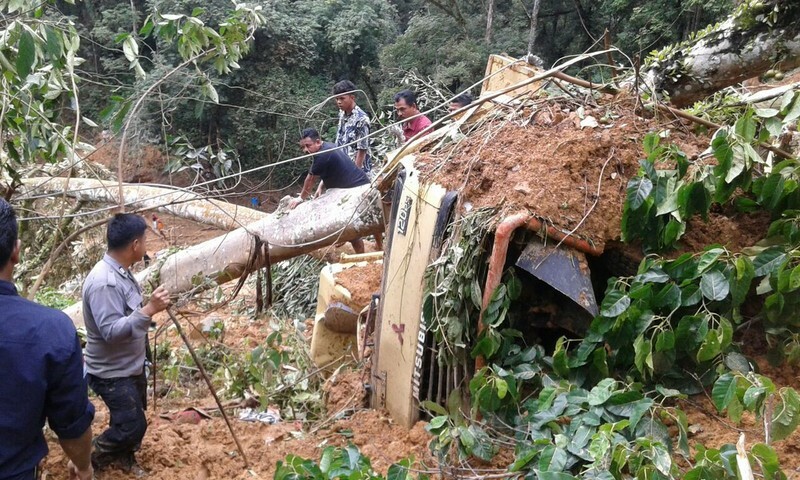 Several vehicles were buried in the landslides and disaster officials have been searching affected areas. As of 04 March, 4 bodies had been found in the buried vehicles. Thousands of residents in Lima Puluh Kota Regency in West Sumatra have been isolated by flood waters and landslides that hit the region on Friday last week. The connecting roads to the regency had been cut off. "Thousands of our residents are still isolated because of rough terrain," Lima Puluh Kota Regent Irfendi Arbi said on Monday, March 6, 2017. Data from the National Disaster Mitigation Agency (BNPB) Lima Puluh Kota Regent show that the disasters have isolated 2,272 residents of Nagari Galugua, some 3,251 residents of Nagari Koto Lamo and 350 residents of Neran Nagari Maek. "The BNPB and Basarnas [the National Search and Rescue Agency] have deployed bell UH-1 helicopters to comb flooding and landslide locations in the sub-districts of Kapur IX and Pangakalan Koto Baru," he said. Irfendi said that logistics distribution in isolated areas will be carried out by helicopters. Meanwhile, search and rescue teams will open access roads to isolated areas by cleaning landslide material. Lima Puluh Kota Police chief Adj. Sr. Comr. Bagus Suropratomo said that search and rescue teams are still searching for flood and landslide victims. Reports earlier said that six persons were killed by the floods and landslides in the region.